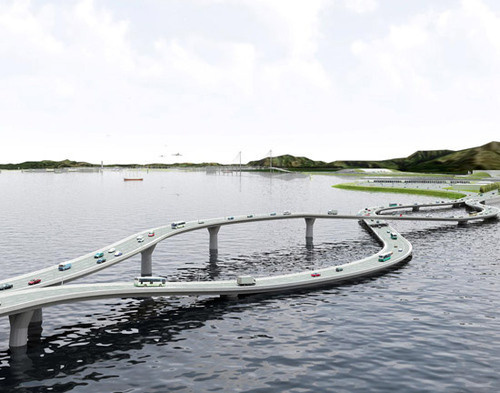 Is This the Craziest Bridge Ever Designed? 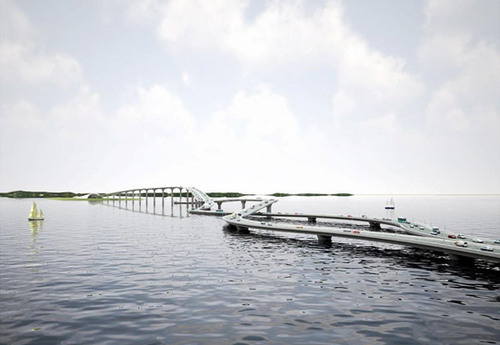 From Gizmodo Is This the Craziest Bridge Ever Designed? I don’t know if the “Pearl River Necklace bridge is the craziest bridge ever designed, but it sure looks like the most twisted one. It’s a clever solution to a very real and obvious problem, however. The bridge is part of a proposal by NL Architects to connect Hong Kong with mainland China. To do that, they had to solve a problem: In Hong Kong, people drive on the left side of the road. In mainland China, they drive on the right side. Here’s the solution: A road flipper that physically twists the roads over each other.